ASAP Sitters, LLC's Babysitter Team includes a variety of professionals from the field of child care. Our babyitters are nannies, child care workers, teachers, college students, and others in related fields. All babysitters go through a rigorous screening process that includes a thorough application and interview, professional and personal reference check, and criminal background check. Ewa (pronounced "Eva") grew up in Northern VA and received her B.A. in Psychology from the College of William and Mary. After a short time in New York, she moved to San Francisco to pursue her Master’s degree at The California Institute of Integral Studies. Later, Ewa worked at the San Francisco Child Abuse Prevention Center (SFCAPC) for several years as evening coordinator of the therapeutic Children’s Playroom. As the playroom coordinator, Ewa supervised, trained, and supported staff and volunteers in understanding children’s social and emotional development. She also assisted parents and children in navigating developmental issues. Ewa received her licensure as a Marriage and Family Therapist in California and returned to the DC area in 2007. She became a proud mom that same year. Ewa founded ASAP Sitters in 2008 and has continued to own and operate the company. In 2010 she was elected co-president of the board at Spring-Mar Cooperative Preschool in Burke, VA, and in 2011-12 she served as president. Currently, Ewa is busy managing the growth of ASAP Sitters and planning the company’s future. She and her husband spend their time between the DC area and Charlottesville, VA and welcomed another son to their family in 2013. Bernard is a software engineer and serial entrepreneur with a passion for creating products and bringing them to market. In addition to ASAP Sitters, Bernard is the founder and manager of TheGreenJobBank.com, a green job search engine. He also serves as a Senior Business Advisor at George Mason University's Small Business Development Center where he helps small businesses and enterpreneurs take their companies to the next level. Prior to ASAP Sitters and TheGreenJobBank, he founded InterQuery (aka ExactOne.com) in 1998 and raised millions of dollars in venture capital, for which he received praised from The Washington Post. Previously he was a founding partner and senior vice president and COO of Monumental Network Systems, Inc. a regional Internet Service Provider pioneering dial-up Internet service. The company was later acquired by Verio. Earlier, Bernard served as director of technology and business development for Digital Analysis Corporation, which was acquired by LEGENT in 1994, upon which he became product manager of the LEGENT AgentWorks product line. Upon the sale of LEGENT to CA, Bernard became very active with the Netpreneur program founded by Mario Morino. A native of France, Bernard came to the U.S. with French systems integrator Marben Group, a world leader in communications software, to direct the firm's entry into the U.S. market. Bernard holds a Master's degree in Physics from the University of Provence, France, and an Executive MBA from the Mason School of Business at the College of William & Mary in Williamsburg, Virginia . Bernard is the proud father of two grown children, and the happy grandfather of three wonderful little boys. See Bernard's profile on LinkedIn, and Facebook. Claire is a native of the DC area. She has a B.S. in Biology from Towson University and her early career was spent doing research in the biotechnology field. She has also worked as an administrative assistant at a Montessori school and at a university. Claire is currently a stay at home mom to two young boys. She and Ewa met while parents and board members at Spring-Mar Cooperative Preschool in Burke, VA. Claire is an avid runner who also loves to do crafts and attend her boys' sporting events. As ASAP Sitters has grown, so has the demand for our services. We are currently looking for Regional Managers in areas such as Montgomery County MD, Prince William County, VA, Loudoun County, VA, and beyond. For more info contact us at jobs@ASAP Sitters.com. Cultural Care Au Pair’s childcare and cultural exchange program offers your family affordable childcare customized to your needs with a unique international perspective. Momme Meals helps take the guess work out of eating right for you and your baby by providing delicious healthy snacks and a healthy food blog with seasonal recipes. 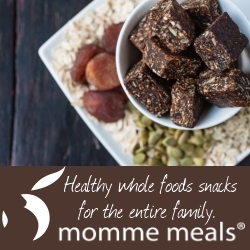 Developed with a registered dietician with a women's pre and post natal needs in mind, Momme Meals are nutritionally sound and packed with amazing flavor any foodie will enjoy. Green Kid Crafts is an award winning, earth friendly monthly craft subscription service for kids that sparks creativity and cultivates respect and love for the environment. Each month, kids receive boxes filled with fun projects that challenge creativity, develop new skills, and extend into creative play. CareLuLu is the easiest way to find a daycare or preschool that fits your family's specific needs! Our personalized search, detailed daycare profiles with tuition rates and photos, and verified parent reviews make it easy for parents to find safe and affordable child care. Best of all, it’s free! Hush Little Baby, LLC provides newborn care services in the Washington, D.C, Northern Virginia, Maryland areas. Chibis (pronounced: CHEE-bees) Indoor Playground in Ashburn, VA for kids 6 and under is the perfect place to let your little ones’ legs and imaginations run free! Chibis' mission is to provide an environment where parents can exercise with their children or socialize while their children enjoy our fun, safe, CLEAN playground. We have a playground for big kids as well as an area designed exclusively for infants. Red Tricycle is a digital city guide for parents. We offer ideas for things to see, eat and do with your kids in D.C.
Association of DC Area Nannies "Supporting the Professional Nanny." Serving the DC Metro Area, Maryland and Virginia since 1986. ADCAN brings educational and social opportunities to all our members. We hold monthly meetings, monthly social events and Nanny Night Out. Our members get involved in community volunteering, and we publish a bi-monthly newsletter to keep our members informed of current happenings in the DC metro area and the nanny industry. Green America's Green Business Network® is the first, largest, and most diverse network of socially and environmentally responsible businesses in the country.